This gorgeous goofy and playful boy is full of happiness and delight, he only wishes for company, love and cuddles (and maybe food). He loves his toys, to play ball and tug of war and is super friendly to all he meets, two and four legged. As he is only 19 months old and hasn’t had much discipline, he does have some issues around boundaries and his new family would need to commit to taking him for training. He doesn’t understand or see the need for the word ‘no’ and as cheeky as he is you can’t help but fall in love with him. He has a beautiful and loving nature – if you are not prepared for boundless kisses and cuddles, Petey isn’t for you. 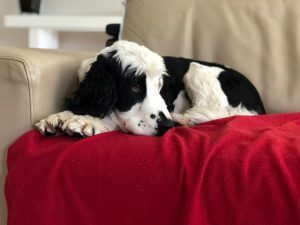 His currently foster family have another cocker spaniel and work from home. It would be best for his forever home to have a young dog for him to play with and a family that spend a lot of time at home, as he does have some separation anxiety. He wants to be inside with you and also would love a big backyard to run around.He would be very sad if he couldn’t sleep close to where you are. He responds well to both men and women and he is great with children. He also loves to swim and is quite good on the lead. 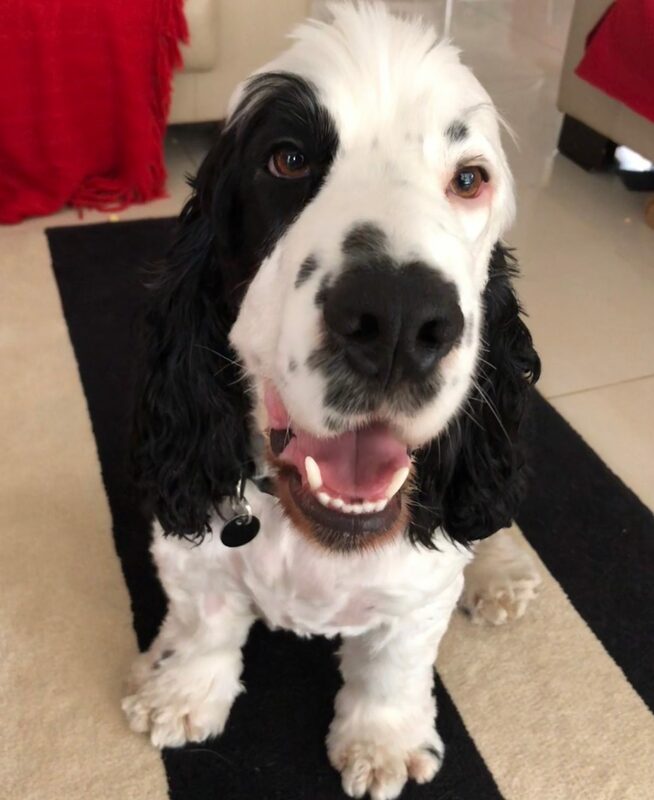 Petey panda is a big spaniel and is pure delight. I dare you not to fall in love with him. If you think Petey is the right dog for you please fill out an adoption application below. Petey is desexed and vaccinated and treated for heartworm tick and fleas.